Millions of Reasons to Use ID Label for Warehouse Label and Sign Installations | ID Label Inc.
ID Label is well known as the industry’s leading manufacturer of high-quality warehouse barcode labels and retro-reflective signs. But that’s only half of the solution. We’re proud to say we’re also the leader in installation services. Each year we manufacture and install millions of warehouse labels and signs. No project is too large or small. Our nationwide team of ID Label employees (not hired contractors) has deep experience in turnkey installation services. We’re strategically located throughout the country to provide you with local installers who can complete a nationwide rollout cost effectively. 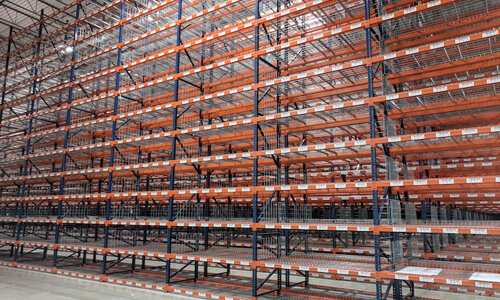 For every warehouse installation project, ID Label provides complete planning and project management services. This includes material and layout recommendations and data file creation and management. 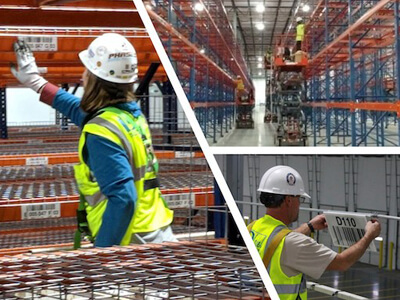 We regularly work with companies and facilities large and small — from a small regional DC to a Fortune 100 manufacturer’s million-square-foot warehouse. Don’t take our word for it. You can read some of their testimonials on our website. We’ve also got several brief video case studies posted. Even if you prefer to use your own staff, ID Label can provide project supervision and management to ensure the installation goes smoothly and in a timely manner to meet your go-live date.